The nation is observing Kashmir Day today to express solidarity with the Kashmiri people in their struggle for the right to self-determination under the United Nations resolutions. One minute silence was observed at 10.00 am to pay tribute to the martyrs of the liberation struggle of Occupied Kashmir. President Arif Alvi arrived in Muzaffarabad this morning to address the session of the AJK Legislative Assembly. A seminar will be held at the President House in which specialists will share sees on the Kashmir question and human rights infringement in the held valley. Rallies, public meetings, and seminars will be held across the country and in AJK. The TV channels will broadcast the exceptional documentaries and papers will distribute extraordinary releases to feature the torments of the general population of held Kashmir. President Dr. Arif Alvi and Prime Minister Imran Khan, in their separate messages on Kashmir Solidarity Day, reassured that Pakistan will remain consistent in its principled position on the Kashmir issue. President Dr. Arif Alvi in its private message said, "The entire Pakistani nation stands with its Kashmiri brethren in their valiant struggle to achieve the legitimate right to self-determination. It is our firm belief that Kashmiris will succeed in their struggle." Prime Minister Imran Khan Said, “Freedom movement in the occupied Kashmir is strengthened every day,” said PM Imran. Chief Minister of Punjab Usman Buzdar also expresses his feeling in his tweet. He said, "Pakistani nation reiterates its diplomatic, political & moral support for the people of IoK today. The solution of Kashmir dispute in the light of UN resolutions is imperative for durable peace in the region & India will have to resolve this dispute one day. 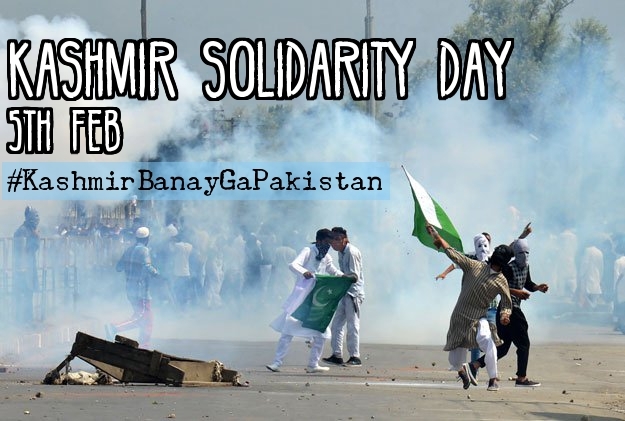 #KashmirSolidarityDay"